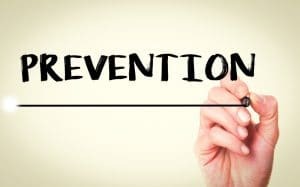 What is preventive dentistry, you may wonder to yourself? You may already recognize that it helps protect your teeth and gums but that doesn’t mean you have any additional details on the topic. In short, it’s a field of dental care that provides you with efforts, tips, and guidelines for avoiding oral health problems, rather than attempting to treat them after they have already developed and caused damage. Want some additional information? We are happy to share it. You need preventive dentistry because there are, unfortunately, a lot of potential problems that can negatively affect your oral health. For instance, there are hygiene-related illnesses that come from neglected teeth and gums (and that are progressive enough to destroy your tissues). Then, there are functional disorders that can disrupt the natural working order of your mouth, resulting in discomfort and challenges. Prevention will allow you to avoid all of these issues. As for your professional preventive dentistry you require, you should be coming in to see us regularly. This means checkups as well as cleanings that happen during one visit, scheduled once every six months. Pretty easy and very effective. Protect your oral health with preventive dentistry, so your smile stays healthy and gorgeous. Schedule a visit with Coppertop Family Dentistry in Redmond, OR today by contacting us at (541) 923-5927.